Holiday Inn & Suites Lake Charles South in Lake Charles is located on Lake Street which is easily accessible from I-210 exit 5. Our hotel offers spacious guest accommodations and suites along with a full service restaurant for breakfast and dinner dining. Top hotel amenities in our guest rooms include mini fridges and microwaves in all our guest rooms. Holiday Inn & Suites Lake Charles South offers work areas with premium business features and includes complimentary wireless internet, complimentary local and 800 calls and complimentary parking. From the 24-hour Fitness Center to the indoor pool, we have some of the best amenities among hotels in Lake Charles, Louisiana. We have 2,400 square feet of event space, and our friendly staff is ready to assist with all your planning needs. Surrounded by the natural beauty of fresh water marshes, scenic rivers and beautiful lakefronts, Lake Charles has more to offer than outdoor activities. 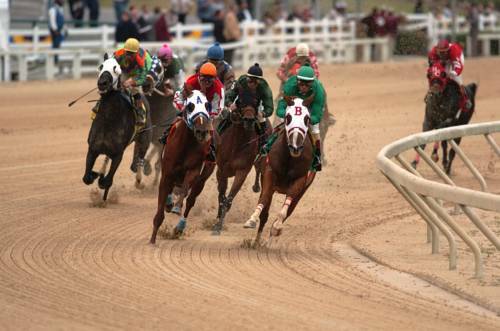 Unique festivals, casino gaming and Cajun dining await you here in southwest Louisiana. Holiday Inn & Suites Lake Charles is located less than 5 minutes away from Golden Nugget Casino and LAuberge Casino. Holiday Inn & Suites Lake Charles South are just minutes away from Citgo, Conoco, Phillips 66, Lake Charles LNG, Northrop Grumman, Entergy Power Station, Sasol, Westlake Chemical and numerous other petrochemical plants. Kem's Restaurant and Lounge: Providing a full menu cooked to order off our menu, Kem's provides a fresh start with breakfast as well as a place to relax and enjoy a casual dinner as well as cocktails served in our lounge nightly. Kem's Lounge: After a day of exploring the city, Kem's Lounge is the ideal place to unwind. Enjoy the casual ambiance and good conversation as you enjoy a cold drink. Our friendly bartenders can help you choose from the wide range of cocktails, fine wine and beer. Bayou 1: Bayou 1 is 1120 sq. ft. with a drop down 10'x10' screen, ceiling mounted projector with surround sound, and complimentary WiFi. Room is carpeted with a vaulted ceiling. Bayou 2: Bayou 2 is 1225 sq. ft. with a drop down 10'x10' screen, ceiling mounted projector with surround sound, and complimentary WiFi. Room is carpeted with a vaulted ceiling. Lauberge Du Lac Casino and ResortL Auberge du Lac Casino Resort offers the best of everything and more in Lake Charles, Louisiana. Golden Nugget Resort and CasinoGolden Nugget Resort & Casino provides live gaming and a variety of restaurants and shopping for travelers to the Lake Charles area.